Dive below the water with me in these final days of summer! Documenting your children growing up using photographs is crucial, right? We all do family portraits. After all, a photograph lasts a lifetime! So let's continue to tell that story underwater! 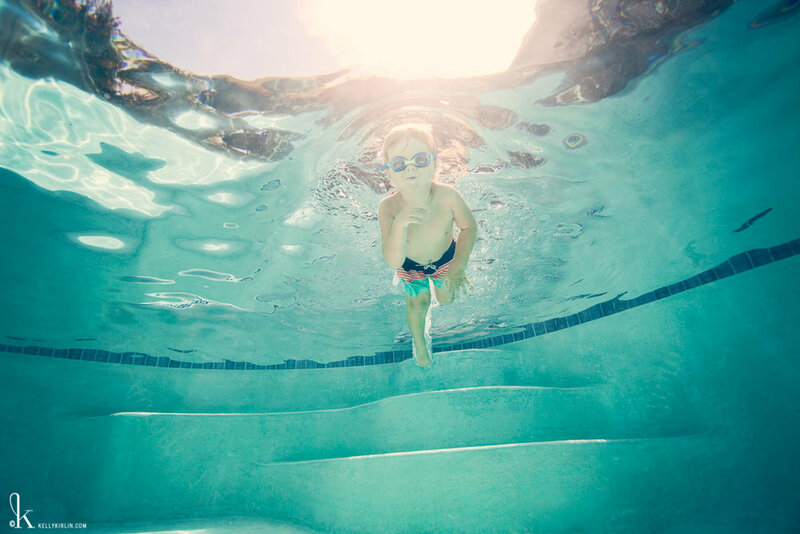 A yearly underwater photograph tells a story of your child's water journey. And, oh boy! Can it evolve quickly! 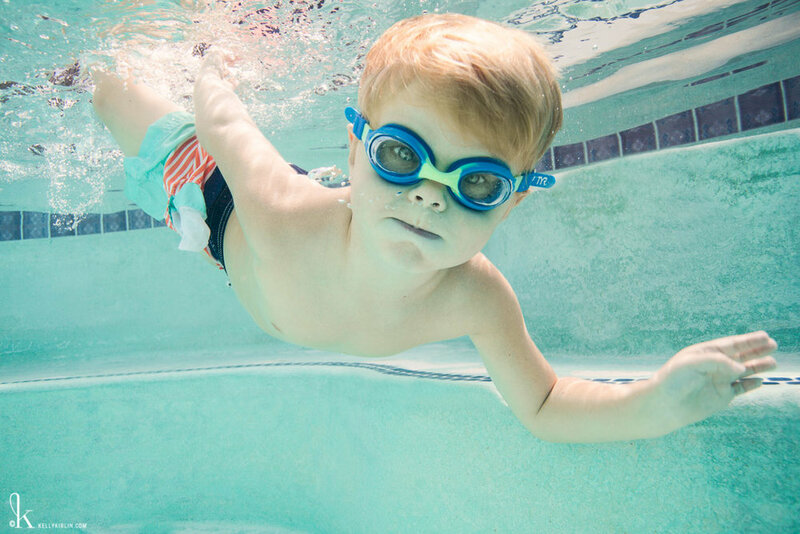 This summer was especially important for our family, as our first born little boy learned to swim! In June he wouldn't even get in the water, and now as we say good bye to summer, he's splashing around in our pool every single day! Let me document that story for you and your family! I'll be holding one round of underwater portraits before the air turns crisp, and the leaves begin to fall. Will you be with me? Kelly’s life revolves around water. In the middle of the Pacific Ocean, she met her soulmate Toby on a boat called “The Truth.” Now proud parents to boys Henry and Hunter (who both started swim lessons 12 weeks after birth!) they live in Chico, California where they escape the heat by jumping in their backyard pool all summer long! She loves her yoga workouts just as much as her ridiculously delicious homemade ice cream and never passes up a good glass of red wine or the chance to dance all night. Ask her about the time she swam with great white sharks or worked in the trenches of advertising photography in Brooklyn — both harrowing tales!